This is the shortest St Oswald’s Way holiday. If you’re a fit walker, with limited time available to explore this beautiful section of the Northumberland coast, this is the one for you. 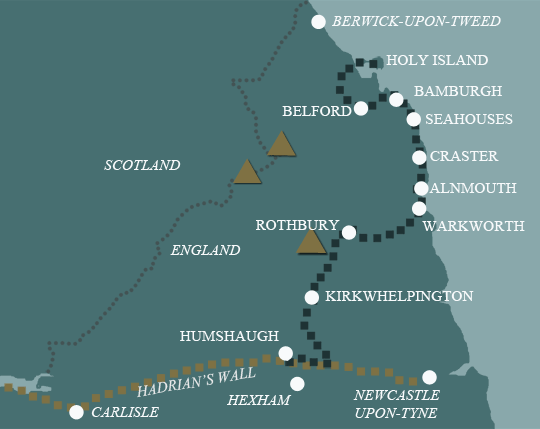 After Seahouses, the route follows some of the most spectacular coastline in Britain. You pass Beadnell, with its tiny harbour and imposing lime kilns, then the magnificent ruins of Dunstanburgh Castle. Just beyond there is the fishing village of Craster, famous for its kippers, then further south again is Alnmouth, boasting one of the oldest golf courses in England. 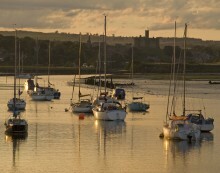 A walk through coastal dunes, with splendid views of Coquet island, brings you to the historic market town of Warkworth, with its imposing 12th century castle and links with the Percy family.